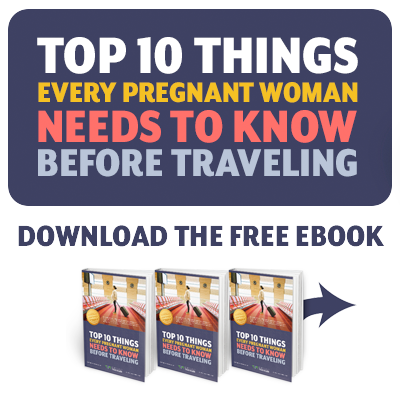 In previous blogs we have mentioned travel by car along with other types of travel during pregnancy. Two recent events, however, have emphasized that road trips, just like other travel, should involve some forethought and planning. A month or so ago one of our clients was taking quite an extensive road trip when she began spotting. Then she began to have some cramps. After consulting us, she visited an emergency room in a town where she was visiting. They reassured her everything was alright but the bleeding and cramps continued. 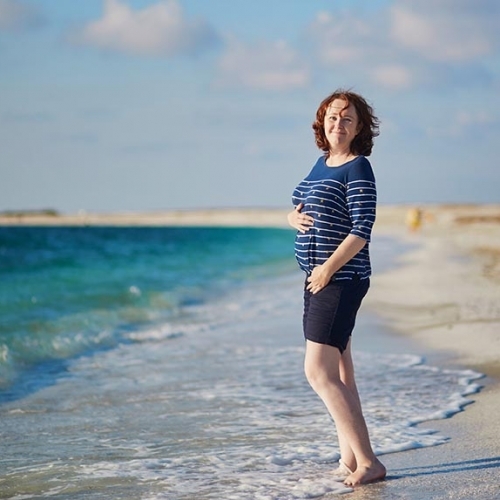 She ended up visiting three emergency departments in three different states before being diagnosed with an ectopic pregnancy and undergoing emergency surgery! More recently, we had a patient who simply made a five-hour road trip to visit her mother. By the end of the trip she had developed a deep vein thrombosis (DVT blood clot) in her leg and now has to be on injectable blood thinners for the rest of her pregnancy. Before you leave home, try to make sure that you are starting out with a healthy pregnancy. This may involve seeing your obstetrical provider to have an ultrasound. A threatened miscarriage or tubal pregnancy can often be diagnosed in early pregnancy. If you already have a complicated pregnancy, such as with diabetes, high blood pressure, twins, etc. it might be better for your friends and family to come and visit you rather than vice versa. Take along with you a copy of your prenatal record in case any emergencies arise. Also, try to know your blood type before you travel. Make sure to take along enough of your prenatal vitamins and any other medicines your medical advisor has recommended. Do not plan to travel alone. Obstetrical emergencies, when they happen, are often sudden and life-threatening. You will be busy taking care of yourself so you will need someone else to make telephone calls, arrange for emergency services, etc. Plan frequent stops along the way. You should not travel for more than two hours without getting out of the car and moving around. Keep well hydrated. This not only helps to prevent blood clots, it enforces the two-hour rule as you will need to stop to use the bathroom. If you are traveling to a warm or hot climate, beware of heat exhaustion and sunstroke. Your heat tolerance is less during pregnancy. Arrange to stay cool. Ease up on your itinerary. If you have not already discovered it, pregnancy makes you tired. Therefore, do not try to see all the sights in one day. Better to see less and remember it with pleasure than to see it all and remember none of it. Wear your seatbelt! Wear it low across your lap, under your belly bulge, but definitely wear it. If you are involved in an auto accident, regardless how minor, stop at a hospital or emergency department to get checked. 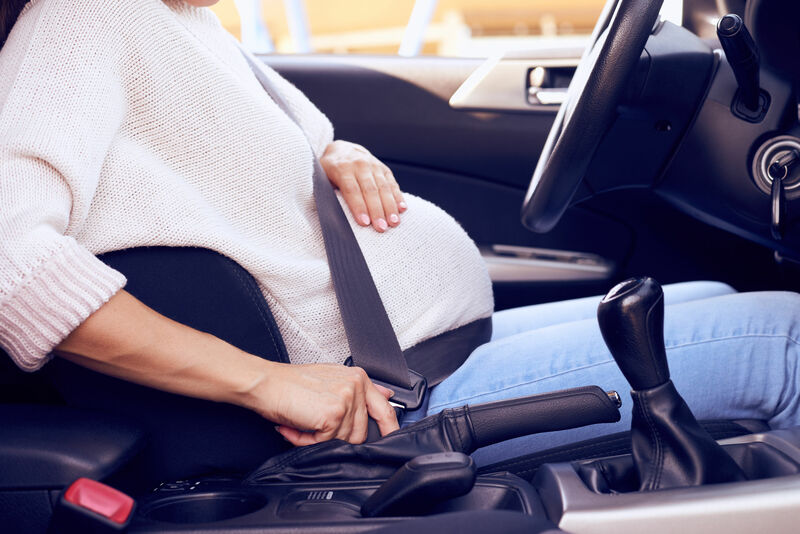 Some of the worst obstetrical emergencies can develop after what seems like minor trauma. These tips are not designed to scare you from traveling. We just want your trip to be trouble-free. Pregnancy is supposed to be a pleasant experience, and we just want to keep it that way. Receive a full personalized phone consultation with Dr. Carroll to get answers to your questions. He will also provide complete and custom recommendations based on your unique medical and travel situation and itinarary. Calls usually last one and a half hours and are more detailed.